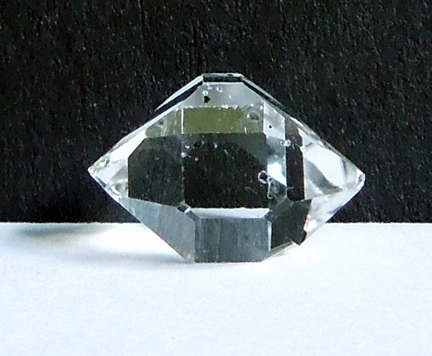 This is a quality Herkimer quartz crystal with a traditional shape that's completely balanced. 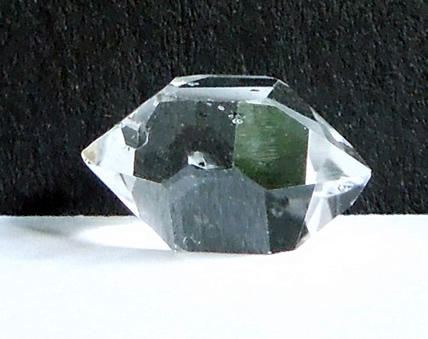 People are usually drawn to Herkimer quartz crystals for their excellent clarity and natural double termination points. 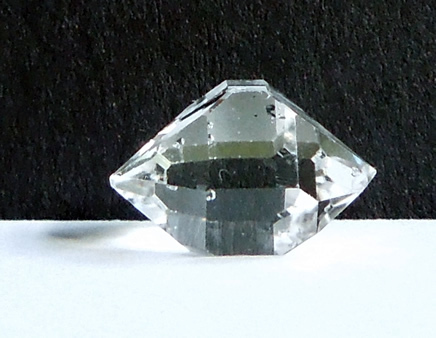 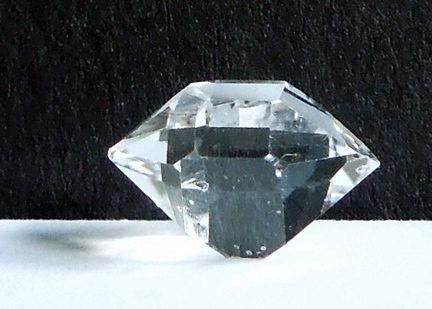 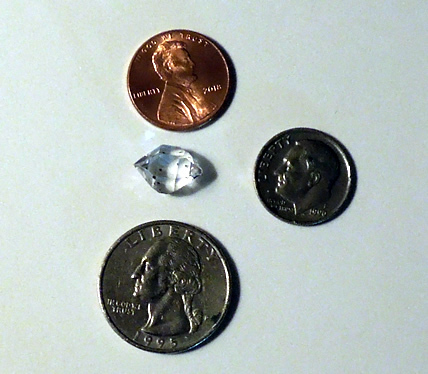 This Herkimer Diamond has both, as well as some fascinating inclusions only seen with a loupe. 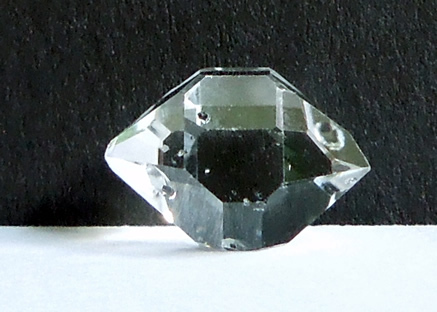 When viewed with a loupe teeny seed crystals and bits of black hydrocarbon show. 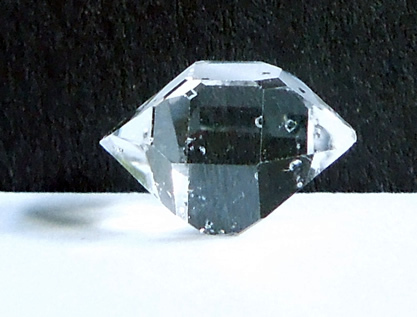 A speck of black hydrocarbon is even encased in one of the double terminated seed crystals. 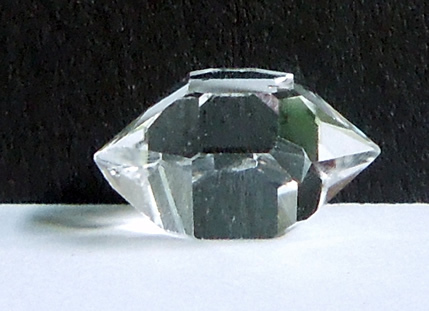 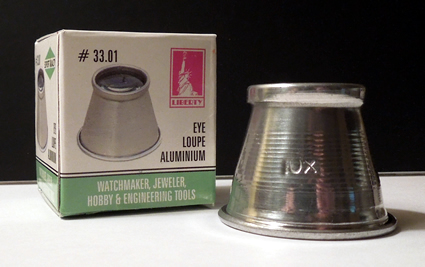 It's rare that a quality AA grade Herkimer quartz crystal is so interesting with a loupe, so we are including one !